Ofsted inspectors judged Fielding as ‘outstanding’ in every aspect of the school’s work during our latest inspection in February 2017. The school improved from its ‘good’ judgement in all areas at the previous inspection in July 2012. 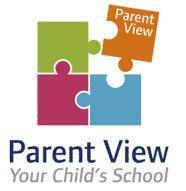 Share your views through Parent View. Parents and carers can give their views of our school at any time of the school year and at the time of a school inspection using an online questionnaire called Parent View. To use Parent View, please register with Ofsted using an email address and a password. Once your login has been activated, it only takes a few minutes to complete answers to 12 short questions about aspects such as bullying, the quality of teaching, level of homework, etc.